I came to our property tonight to feed the chickens and I didn’t want to leave. 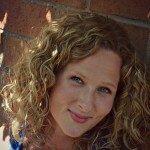 My husband was home, feeding the kids dinner and I found myself wandering around, thinking, praying….feeling thankful. It’s been such a roller coaster. One minute I’m practically on the edge of bat-crazy from how much we have to do and then the next day I’m walking around, with a perma-grin, because it’s actually happening! Building is such a wild roller coaster! I wanted to publish the second Q&A, to hopefully answer some of the questions I’ve been getting. Let’s hop right to it! Question: What are you planning on doing for the exterior colors? 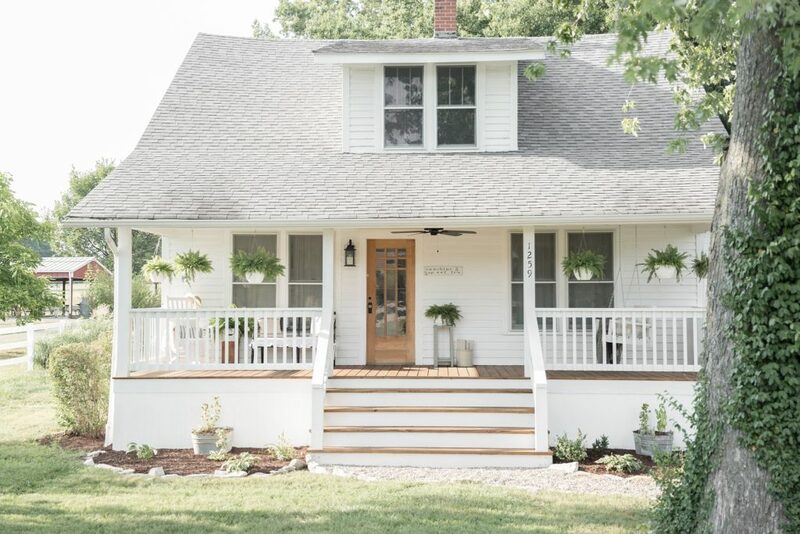 I love, love, love a classic white farm house so, that’s the goal! Currently my paint ideas are: Sherwin Williams Dover White, Beefy White by Rhoda, or Sherwin Williams Alabaster White. I need to pick my favorite soon! Here’s our current home, without siding, a porch or anything: Here’s one of my favorite pieces of inspiration for our finished product. 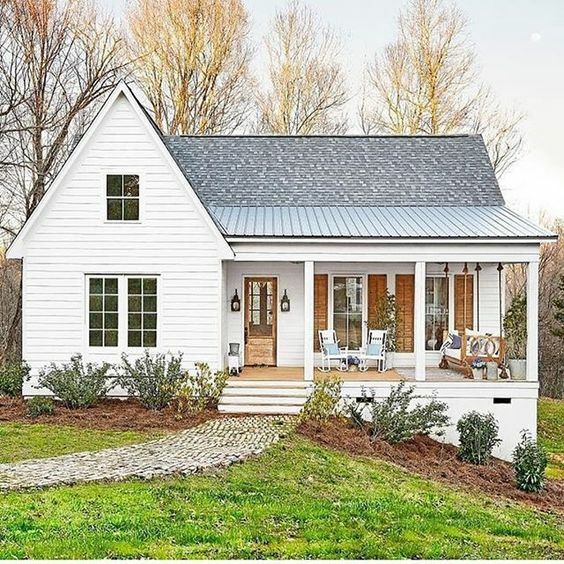 Farmhouse on Boone is a dream to follow, by the way! Check her out! We plan on having our home painted white and then doing the deck with a natural wood tone and white railings. We’ll also be adding window boxes. More white and wood—this is what’s making me happy! Question: What about the interior? What do you plan to do? Well, remember the shiplap we found on our date? That’ll be going on one of the main walls in the living room for some old charm. As far as the interior color goes, to start we’ll be painting the entire thing with Benjamin Moore White Dove. As we live there and get to know the spaces better, I might add a little color. For now, I want everything super light, bright and airy. 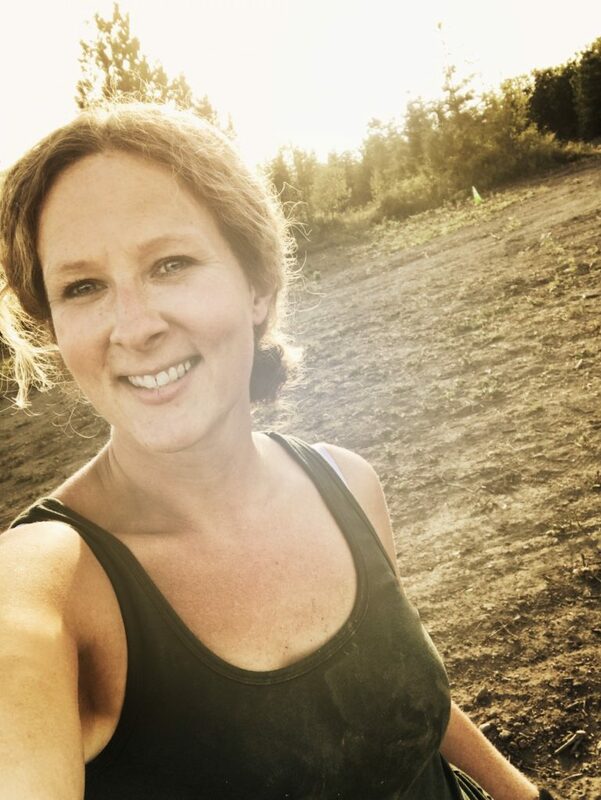 This here is real life when you’re building….so much dirt! We’ve never been so dusty! But you know what they say—dirt don’t hurt! We are just so thankful to be dealing with all of this during the dry season! Question: What about flooring? What are you plans? With our builder, carpet comes standard for the bedrooms. Would that be my first choice? No. I only say that because over time, carpet gets gross, but we’re building on a budget and I’d rather be able to pay my bills and sleep at night, then splurge on hardwoods in the bedrooms. Flooring is one of those things that can be upgraded down the road in a few years, if we want. For the kitchen/living room, we’re doing the flooring ourselves and we’ll be doing a wood or a wood “look alike”. The living room and kitchen are the hub of our home and since it’s one big room, it’s the perfect place to upgrade to something that’ll be perfectly functional. 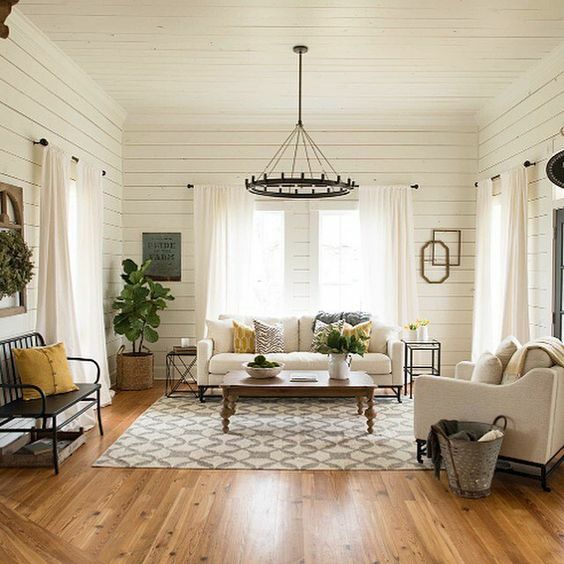 Just some inspiration…we won’t have this much shiplap, but see how light and bright it is? That’s what I’m aiming for. I’ve been making a list of things I’ve learned during this process. I can’t wait to share those things next. In the meantime, feel free to ask more questions. 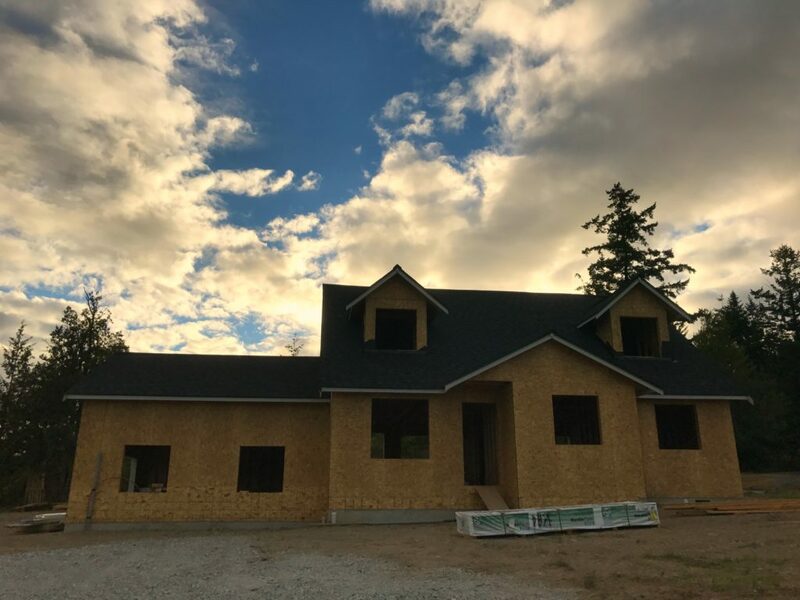 Also, if you’re local’ish to Skagit/Whatcom/Island/Snohomish County, I’d be happy to share who our builder is and some of the wonderful contractors we’ve worked with. When we work with someone we love, I feel like I want to spread the word about how great they are. 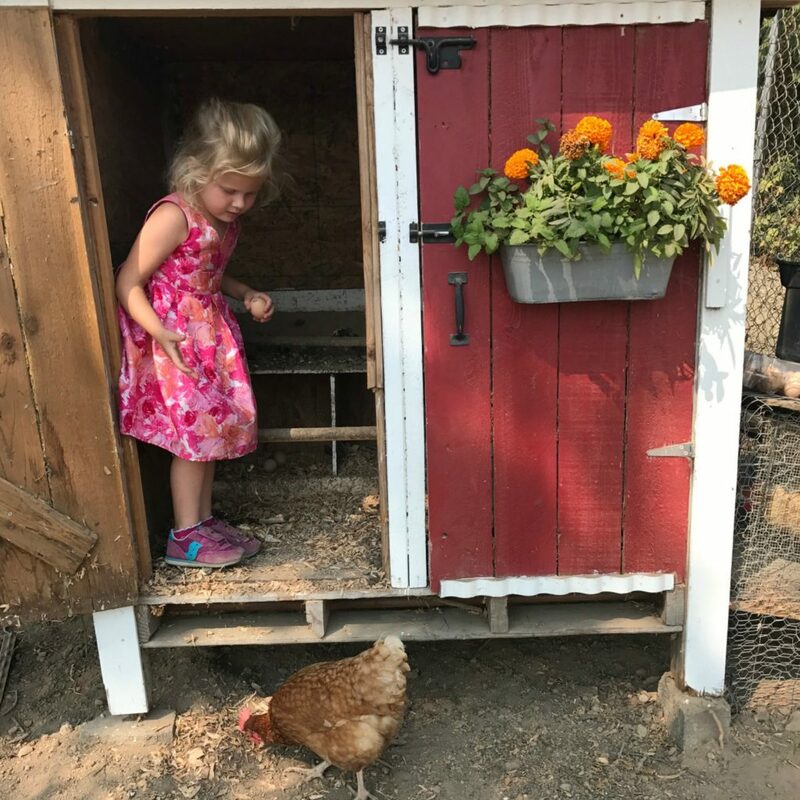 I’m a regular reader but just dove back into your posts about the homebuilding process because we are *thinking* about building (just found a lot we like and are thinking of making an offer to do a 30 day feasibility and um, affordability study!). Anyways, thanks for sharing your story. 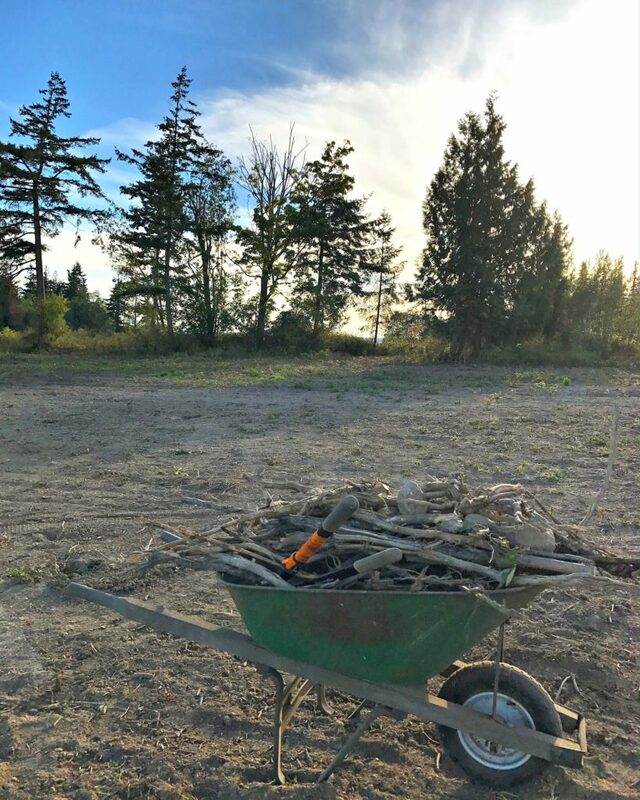 We are in Whatcom County — would you mind sharing which builder you are working with? (You can email me if you’d like.) Thanks!